I’ve been back since Saturday, but it seems I’m catching up on things like the normalcy of my life – grocery shopping, cooking dinner and actually catching up on my sleep – I don’t do too well when on the road for some reason. The trip was good work wise, we covered a lot of information in 7 jam-packed days, but I will truly say, I’m glad it’s over and I’m back home. I always love the thought of being in FL, but 10 days was too long for me this time. Let’s keep it at a week next time LOL. And it will be another week, in a few more months. The good thing about this trip, since I’ve ranted about the bad is my husband got to come hang out with me for the weekend and we got an opportunity to go to the beach in January and we were in the states! The funny of that is I was driving trying to find somewhere to park and we saw a guy walking around with a Sigma shirt on and then realized that the guy used work with the Hubs. The world is too small! I also got to see not one, but two friends that I haven’t seen since I moved from Charlotte, NC back in 2006. 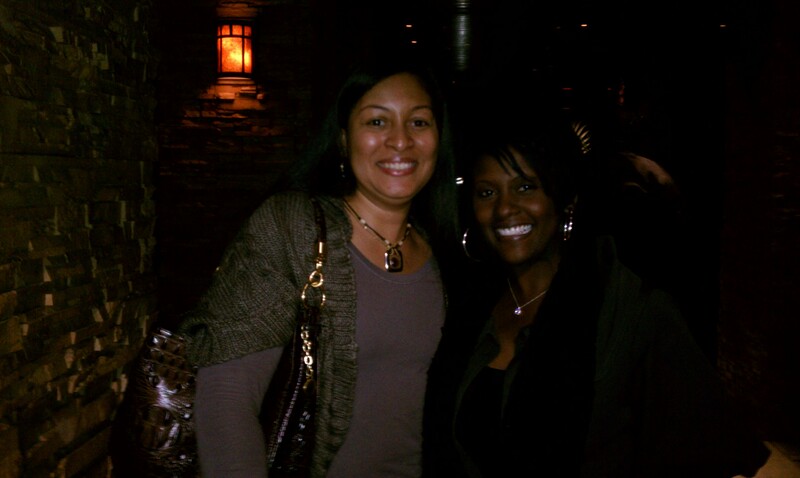 My first friend, Val, we met at a Training workshop in Charlotte when we were both Trainers for Wachovia. I was so surprised upon meeting Val that she was from Tampa, FL and had gone to school at AL A&M, which is a HBCU an hour and a half from my hometown of Birmingham. That is just always shocking to me that people go so far away from home to school, I stayed close by lol. When bookface came on the scene, we reconnected and when I learned of my upcoming trip, I reached out to her to see if we could meet for dinner and we did! Val suggested two restaurants and I picked Seasons 52 since I had already eaten at the other restaurant earlier in the week lol. One thing about me, I will get out and explore – restaurants, shopping, etc. We had a great time reconnecting and fellowshipping over good eats! In the next post, I will continue to discuss my 10 day trip in the sunny Tampa Bay area and reconnecting with another great friend! This entry was posted in Friend, Travel. Bookmark the permalink.